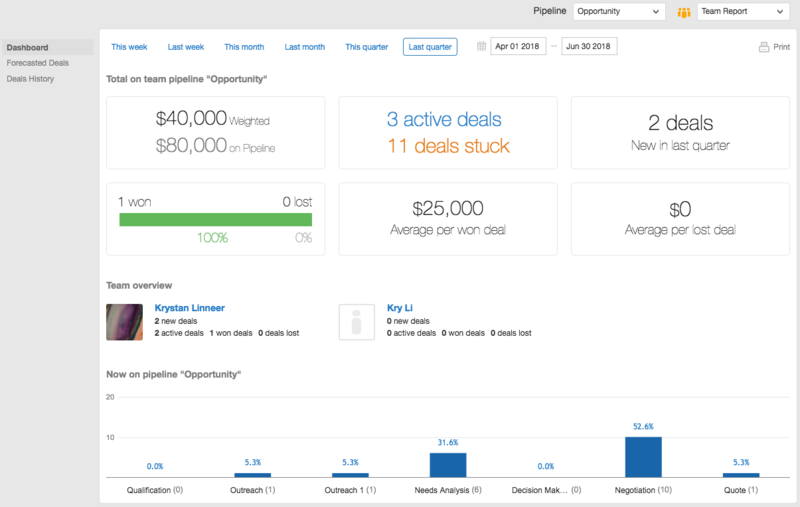 The Reports tab in Nimble provides you with an overview of your organization's deal pipeline(s). Check in on past & future revenue, see which rep is performing well, and identify areas that may need improvement. Nimble enables you to build reports for specific pipelines (for your team as a whole or by individual user) during any time period you select! Choose from one of our preset time periods, or use the calendars towards the top of the page to set your own. 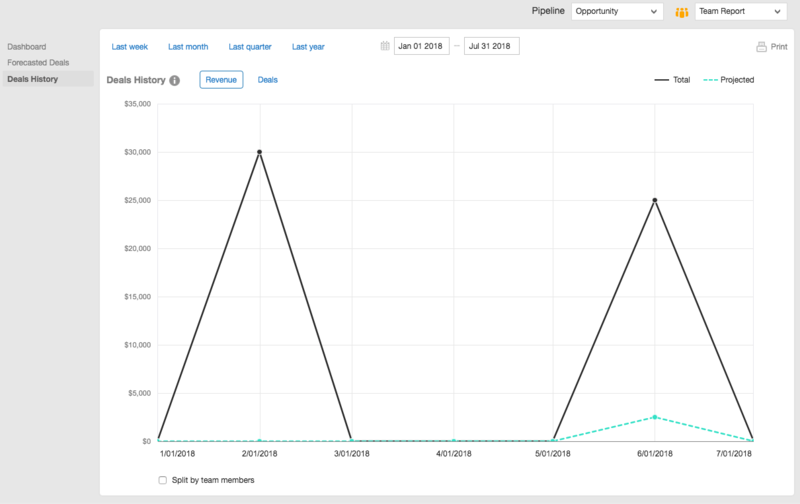 The Dashboard is where you can view yourself and your team members' Deal progress at a glance. This will show you all future deal outlooks. You can sort by one month, three months, six months, one year, and specific time intervals. This is where you may view all historic deal results, sorting by time intervals. 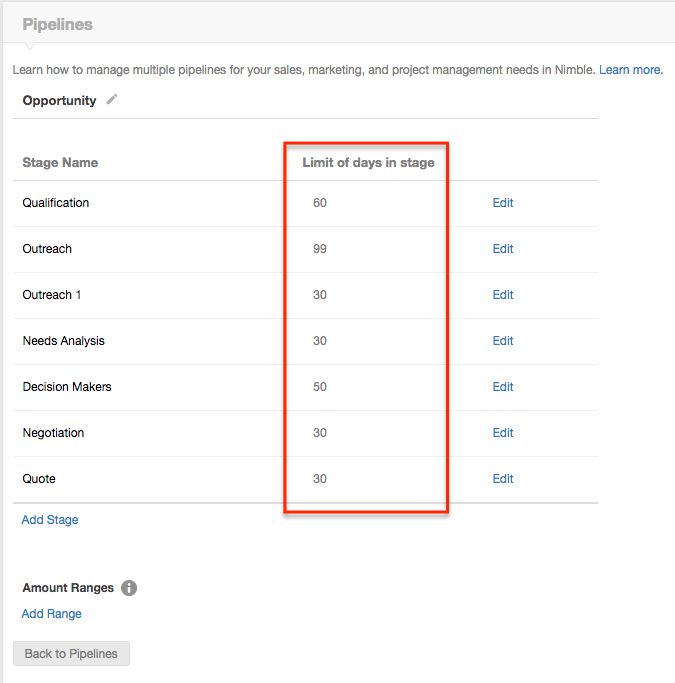 In Settings >> Pipelines, you may now add the "Limit of Days in Stage" parameter to stay on top of your most important deals. When editing a stage on your pipeline, you can enter any number of days from 1 - 99 in this limit field. A deal becomes "stuck" by remaining in a stage for longer than the specified number of days. 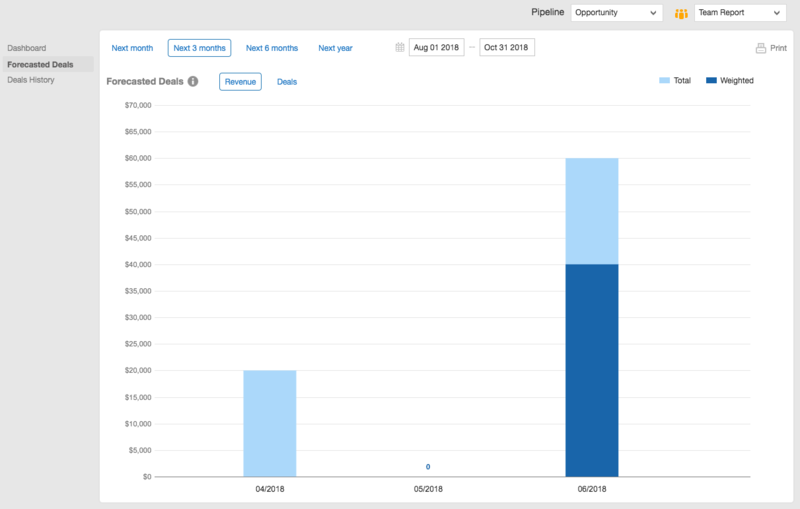 It will be highlighted in red on your pipeline view in the Deals tab, and will be indicated by an orange link in your Reports tab Dashboard page. Click the "X Deals Stuck" link to be brought to a list view of all stuck deals during that time period, so that you and your team can take the appropriate action.